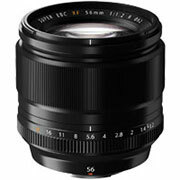 A fast f/1.2 lens with a focal length of 85mm that delivers beautiful background bokeh so it's ideal for portraiture. 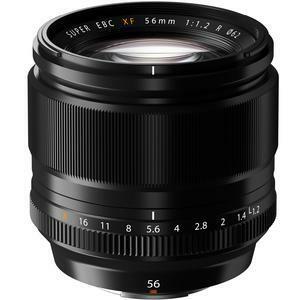 The Fujifilm 56mm f/1.2 XF R Lens has incredible resolving power thanks to a new optical design featuring 11 elements in 8 groups. Two ED (extra-low dispersion) elements and one double-sided aspherical element are used to control spherical and chromatic aberrations, while a further four of the elements feature convex surfaces to ensure excellent light coverage, even when shooting wide open. 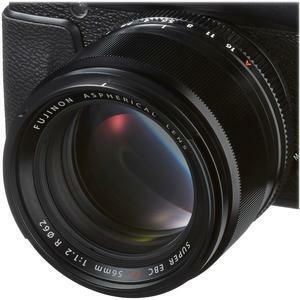 Like other XF lenses, this lens is designed to be comfortable in use and has a premium quality look and feel.